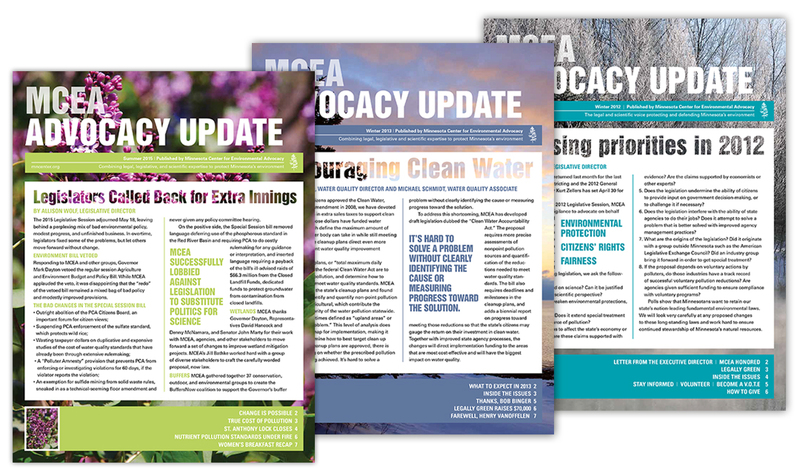 MCEA is one of the strongest advocates for Minnesota’s environment, using their legal and scientific expertise to set sound policy and ensure good laws are enacted and enforced. 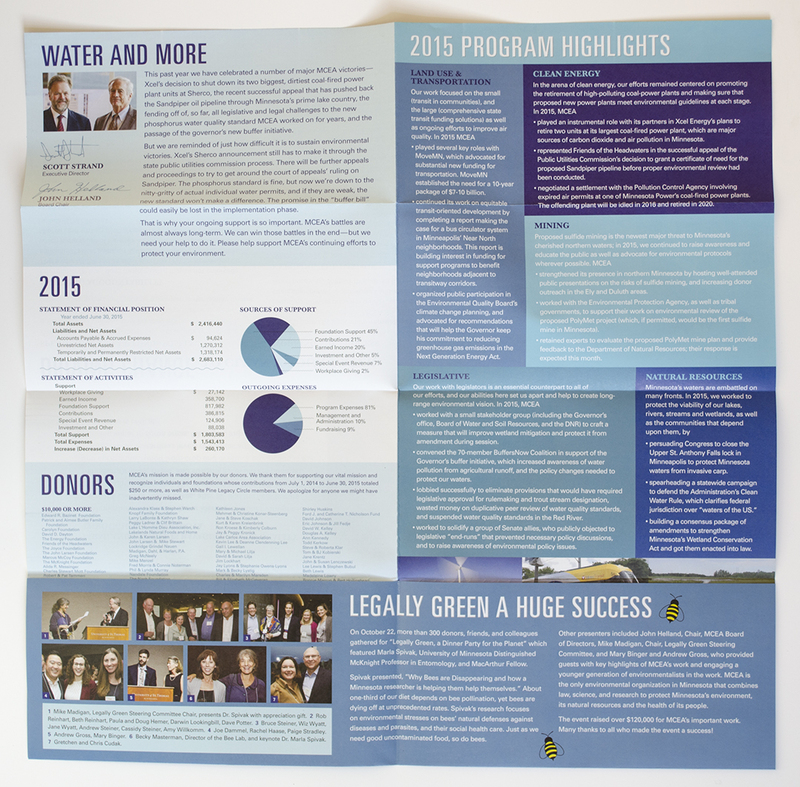 We help them energize their donor base through strong issues-based messaging that drives home the urgency of their work. 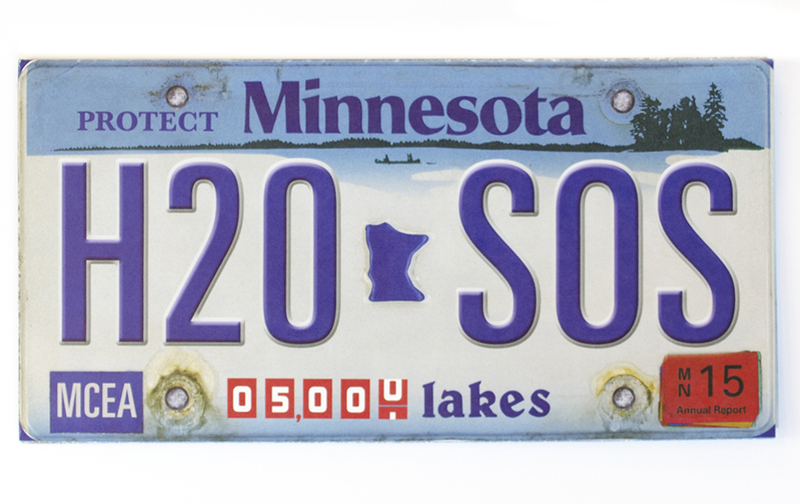 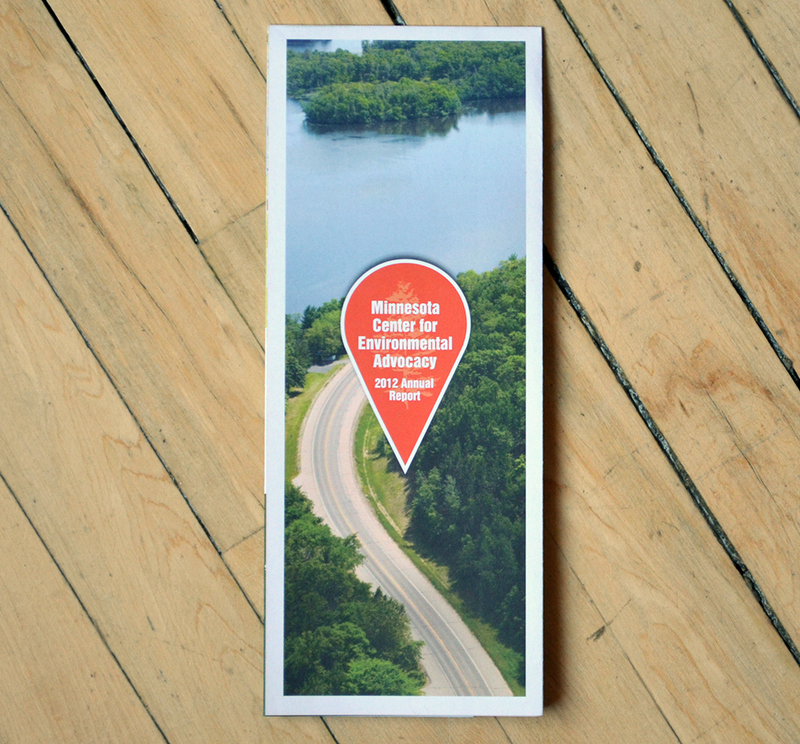 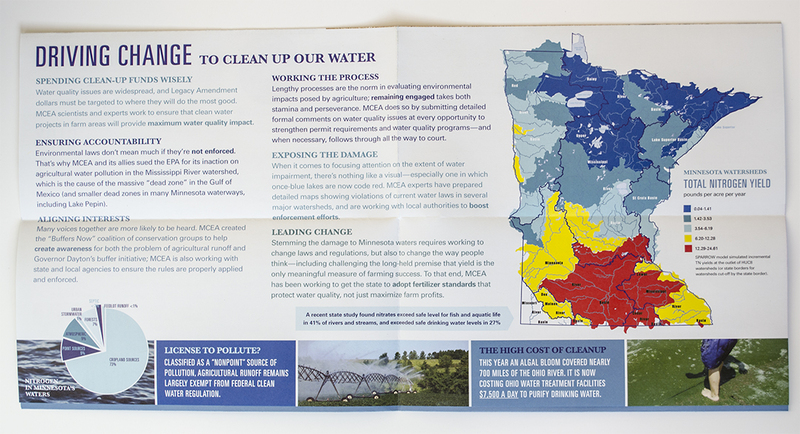 The State of Water: We turned Minnesota’s motto, “Land of 10,000 Lakes,” on its head to emphasize the devastation wreaked by farm runoff on the state’s water quality. 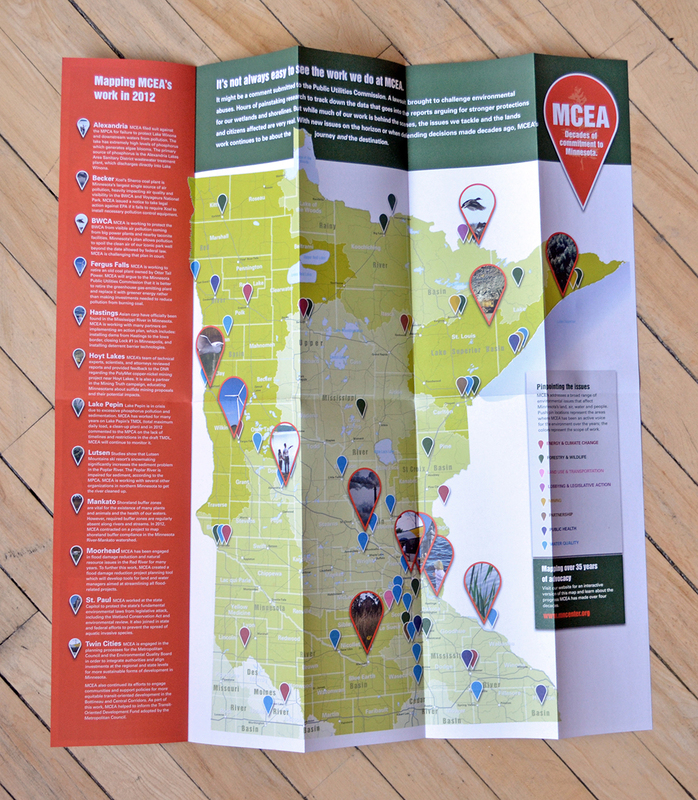 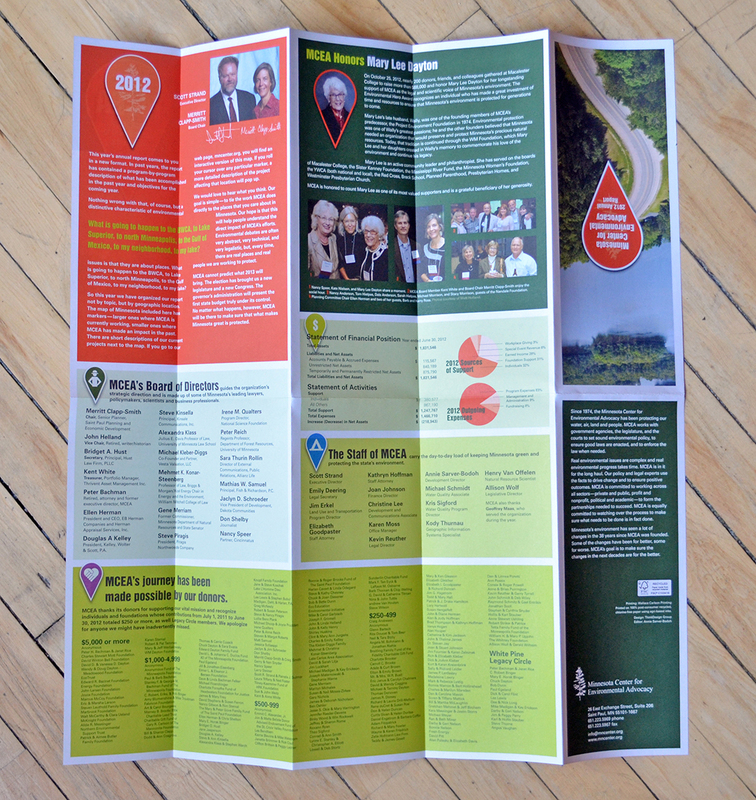 Road Map: Mapping MCEA’s initiatives by location illustrated the range and impact of their work statewide. 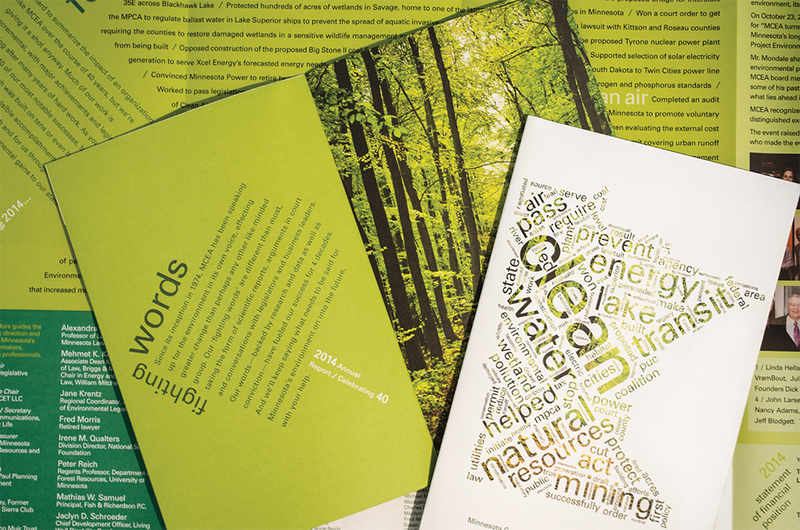 Fighting Words: Celebrating the organization’s 40th anniversary with a reminder about their commitment to speak up for the environment and the real impact it can have on our world. 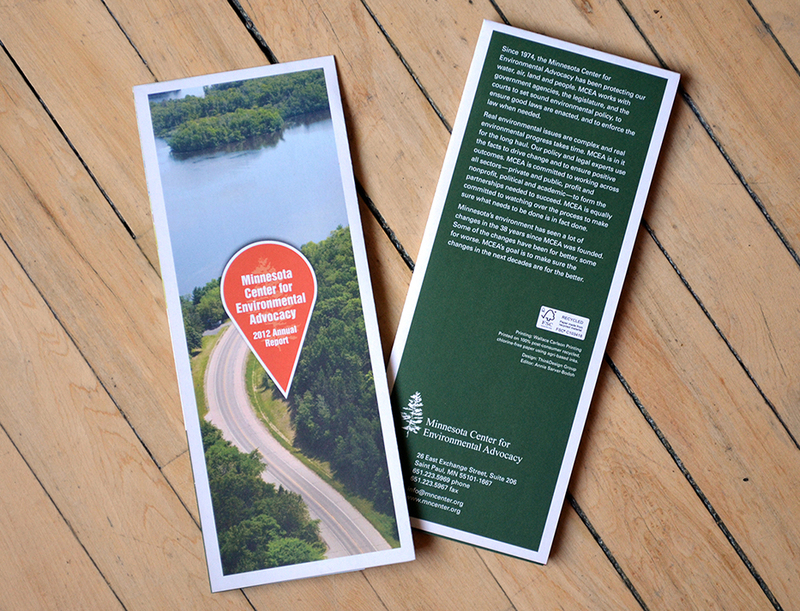 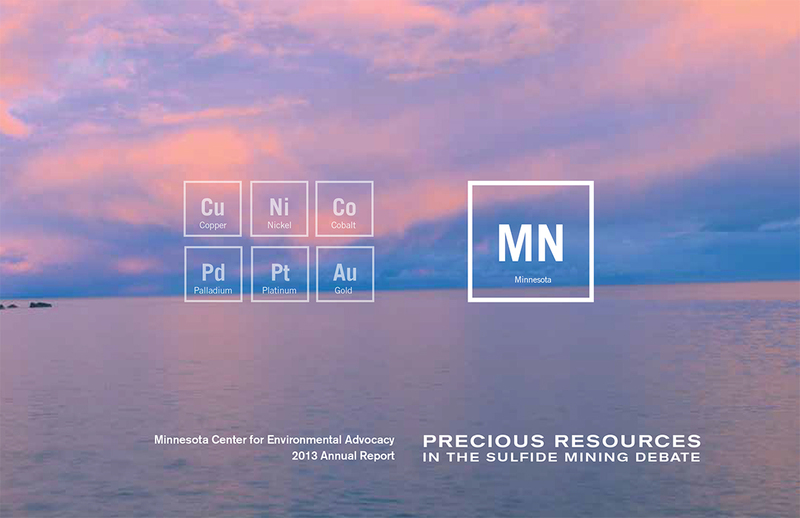 Precious Resources: Brings attention to the long-term environmental concerns about mining in Minnesota.